Celebrate the 25th-anniversary of Reservoir Dogs by diving into the brilliant, twisted mind of Quentin Tarantino and discover the artistic process of an Oscar-winning legend. 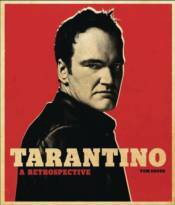 Known for his highly cinematic visual style, out-of-sequence storytelling, and grandiose violence, Tarantino's films have provoked both praise and criticism over the course of his career. This retrospective catalogs each of Quentin Tarantino's movies in detail, from My Best Friend's Birthday to The Hateful Eight. The book is a tribute to a unique directing and writing talent, celebrating an uncompromising, passionate director's enthralling career at the heart of cult filmmaking.